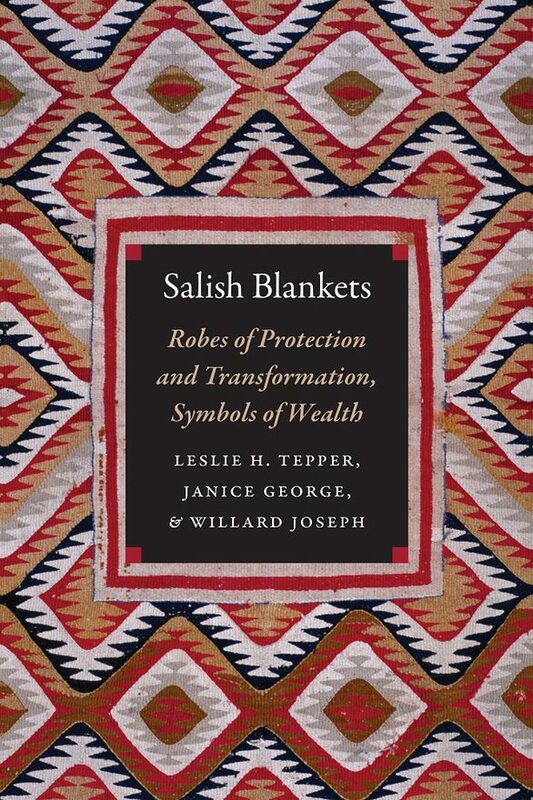 Join Chepximiya Siyam’/Chief Janice George, a Squamish hereditary chief, and her husband Skwetsimeltxw Willard ‘Buddy’ Joseph for the launch of their upcoming book Salish Blankets: Robes of Protection and Transformation, Symbols of Wealth. This special book launch will also feature six apprentices from the L’hen Awtxw Weaving House, who will debut their first weavings for guests and museum visitors. Salish Blankets, co-authored by Leslie Tepper, a Curator at the Canadian Museum of History, presents a new perspective on Salish weaving through technical and anthropological lenses. Worn as ceremonial robes, the blankets are complex objects said to pre-exist in the supernatural realm and made to manifest in the natural world through ancestral guidance. The blankets are protective garments that at times of great life changes, for example birth, marriage, death, offer emotional strength and mental focus. A blanket can also help establish the owner’s standing in the community and demonstrate a weaver’s technical expertise and artistic vision. The object, the maker, the wearer, and the community are bound and transformed through the creation and use of the blanket. Drawing on Salish community members, object analysis, and earlier ethnographic sources, the authors offer a wide-ranging material culture study of Coast Salish lifeways. Salish Blankets explores the design, color/pigmentation, meaning, materials, and process of weaving and examines its historical and cultural contexts. Admission: *Adults: $15; Seniors and Students: $13; MOV Members and First Nations community members: Free.